Let’s face it, who doesn’t love eating out! With over 20 restaurants, bars and cafes at London Designer Outlet (LDO), from sit-down casual dining to food-on-the-go there are lots of new tastes to discover. Each month we’re going to highlight one of the great food outlets we have here at LDO, so you can get to know them and more importantly their food a little better. January’s Restaurant of the Month is Cabana, best known for their Latin American inspired grill and cocktails, the team bring with them a taste of Rio to Wembley Park. Walk in to Cabana at LDO and you’ll be greeted by the team, ready to offer expert advice on their vibrant menu. Now for the food! Zingy and full of life, Cabana’s Brasilian food is all about simple cooking techniques and casual communal eating. 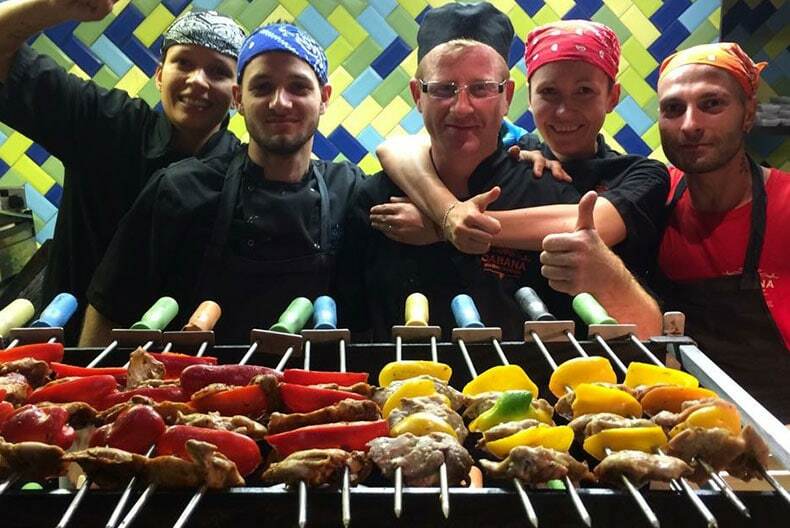 It’s Brasilian barbecue at its best, succulent skewers cooked over an open fire pit accompanied by street food and sides all seasoned to perfection. Love a Mojito or a Caipirinha? Cabana is the perfect place for sipping cocktails, especially with their 2 for 1 happy hour running on selected cocktails, every day. From birthday parties to corporate celebrations, Cabana is the perfect place for any party! They have loads of great options to make your celebrations go off with a bang, from canapes and bar snack selections to set menus and fullblown feasts, served up alongside an amazing selection of cocktails, beers and even some Brasilian fizz. Going all out? The team can even help source Samba dancers for you! Make those January blues disappear, join the Cabana Club and save 50% off your food bill throughout the month*. Like what you’ve just read? All that’s left to do is book a table, what will be it lunch or an evening meal?